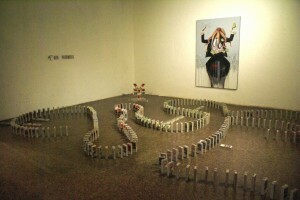 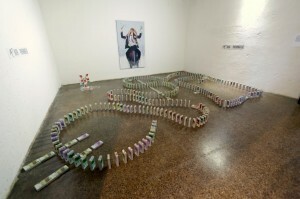 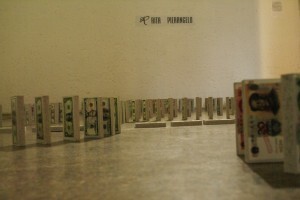 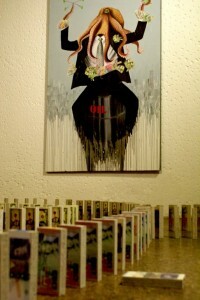 “High finance” is a work of installation art consisting of 350 pieces of dominoes (18 x 8 cm.). 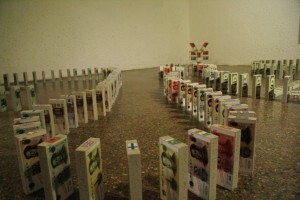 The designs of the main currencies in the world are printed on the pieces of the dominoes, while the flags for all the nations are pictured on the edges. 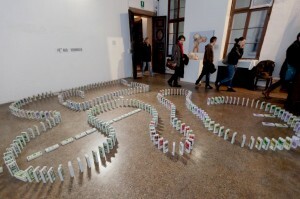 The artist placed the dominoes on the floor in the shape of the standard designs for the Euro, US dollar, British pound and Renmimbi all linked to each other. 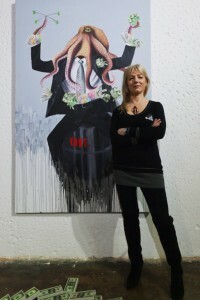 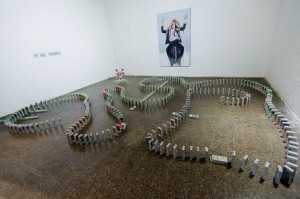 According to the artist’s extreme and catastrophic view of the facts, she’ll let the first set of dominoes fall, which is the one depicting the Greek Flag, designed to symbolize the difficult financial situation of Greece, then all the others will fall for a domino effect. 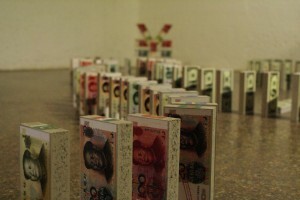 Supposedly the last set of dominoes to fall will be the Renminbi. 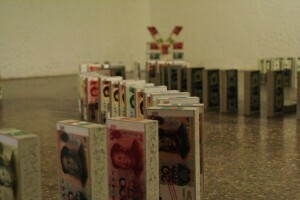 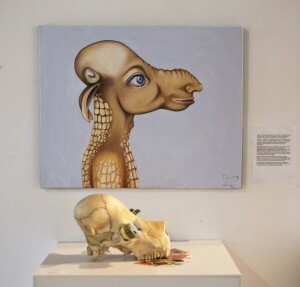 This work clearly refers to the world economic crisis, revealing a prediction on the effects produced on the different world countries. 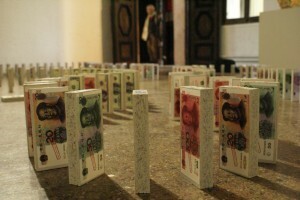 The power of the banks and their role in the economy are proved by the fact that the domino effect is controlled.